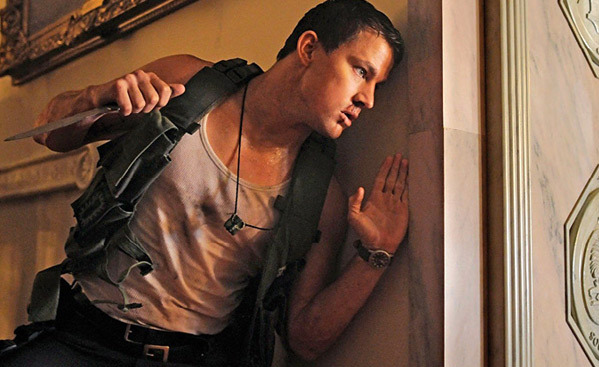 After dancing his heart out and stripping down to his skivvies, Channing Tatum is getting back to some serious action. In addition to G.I. Joe: Retaliation coming next March, Tatum will also be firing rounds for White House Down, the new film from Independence Day director Roland Emmerich. 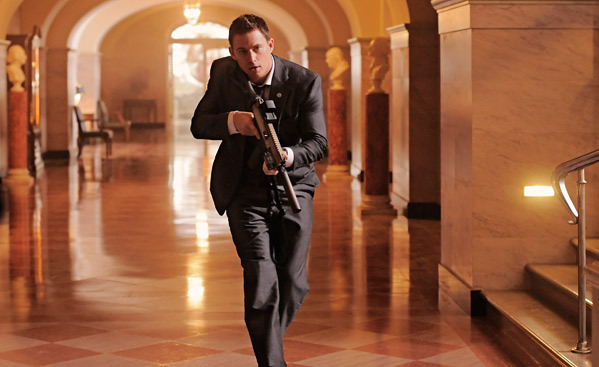 The film follows Tatum as a Secret Service agent tasked with protecting Jamie Foxx (recently named as the villain Electro for The Amazing Spider-Man 2) as our President when the White House gets invaded by a paramilitary group. Now we have a first look at the film with Tatum in action, Foxx in tow, and a couple shots of Maggie Gyllenhaal also. The first trailer is likely not too far behind, so stay tuned. Photos below! 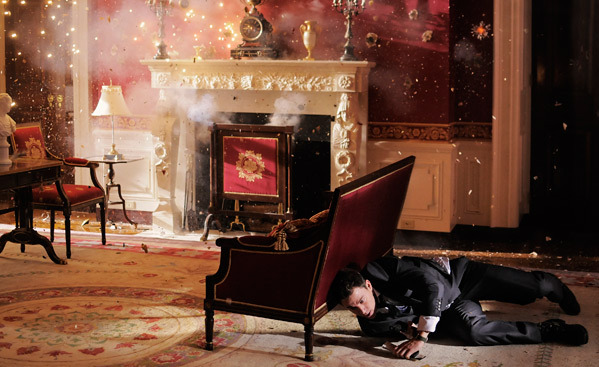 White House Down is directed by action mastermind Roland Emmerich (Independence Day, Godzilla, The Patriot, The Day After Tomorrow, 2012, Anonymous) from a screenplay written by James Vanderbilt (The Amazing Spider-Man, The Losers, Zodiac). 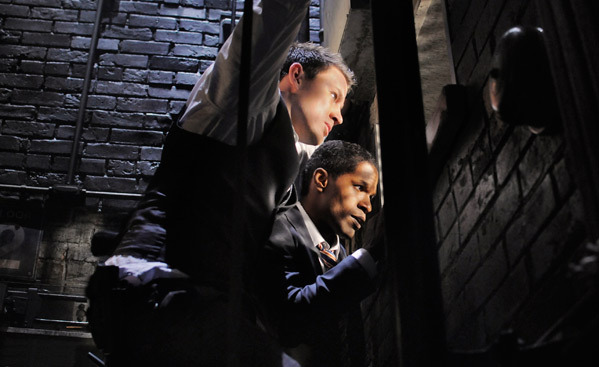 In the film, a Secret Service agent (Channing Tatum) is tasked with saving the life of the President of the United States of America (Jamie Foxx) after the White House is overtaken by a paramilitary group. It's said to be an action-thriller to rival the likes of Die Hard. 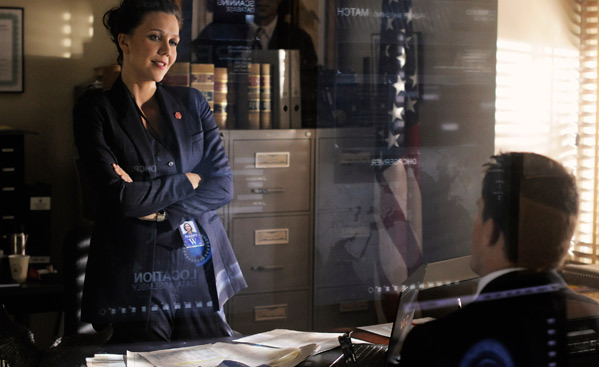 Maggie Gyllenhaal, James Woods, Richard Jenkins and Jason Clarke also star in the film. 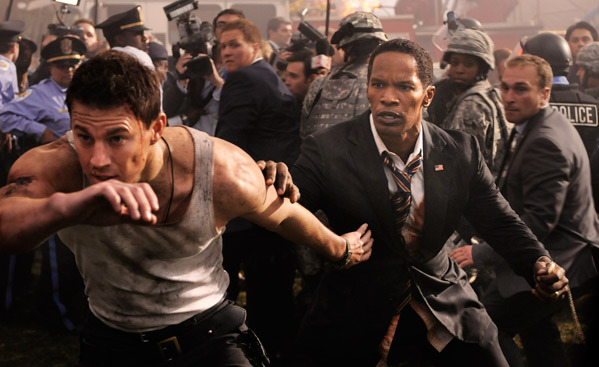 Columbia Pictures will be bringing Emmerich's new action movie White House Down to theaters on June 28th, 2013 next summer. This should have been Die Hard 5. Worry not my friend. Die Hard 6 is yet to come. Die? Hardly! Why those this guy keep finding work? He's got to be one of the worst actor out there. He's actually one of the best and most sought after, 21 Jump Street did wonders for his career. Even though Channing is a block of wood on screen, he didn't embarrass himself in that Jump Street movie which was otherwise a POS. Hes a great actor, he just chooses terrible roles. He had me rolling more than Jonah Hill in jump street. Tatum has become a pretty decent actor...I thought Haywire was pretty decent...a different kind of spy movie indeed. This movie sounds awesome. I can't tell you how much I miss these Die Hard, Air Force One, Executive Decision-type action movies. This sounds like '90s-esque fun. Plus, I don't care what anyone says - I will never hide how much I enjoy Roland Emmerich movies. 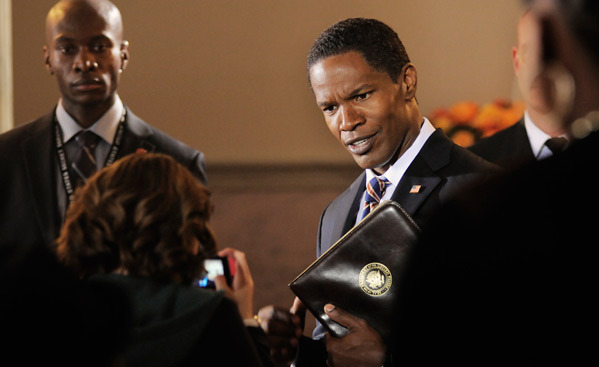 foxx as president??? hahaha very bad type casting but every Emnerich movie is fun to watch..
Emmerich and the word "mastermind" in the same sentence ?